The Latest Information on Abused and Misused Drugs. 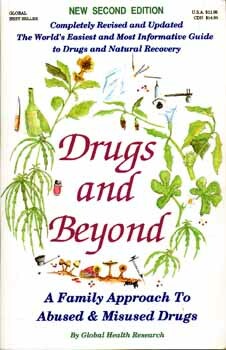 This is an informative, extensively researched book which has been construed by some of the top drug specialists. The purpose of the book is to help you fully understand drugs, their uses and how they affect you and your children. This book is set up in an easy to use format so that you, the reader, can spend less time finding and understading the information that you want and need to know. It contains the latest up-to-date factual information on drugs and how to recognize effects of use and/or abuse. Also provided is information needed for a dependent person to completely discontinue the use of drug(s) and rebuild his/her health naturally. Global Health Research is united in cause, to help you restore health, prevent premature aging and prolong life.